 Lat pull-downs have a few variations such as behind the neck, in front and v bar and can be further modified with wide grip or narrow and combined with either a prone grip or supine. How do you know which is right for you? 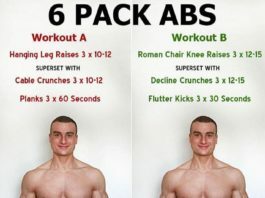 Also, are lat pull-downs any better than pull ups? 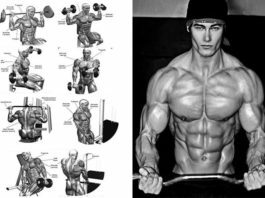 When it comes to comparing different set ups for the lat pull-pulldown such as bar position in front or behind the neck. There is no advantage towards one or the other; they both lead to equal lat activation, while behind the neck led to greater biceps and rear delt activation. On the other hand the front lat pulldown lead to a greater activation of the pec major. As it seems there is no real advantage to performing the behind the neck lat-pulldown especially with the possible risk involved if one lacks mobility (Sandro S. et al 2009). 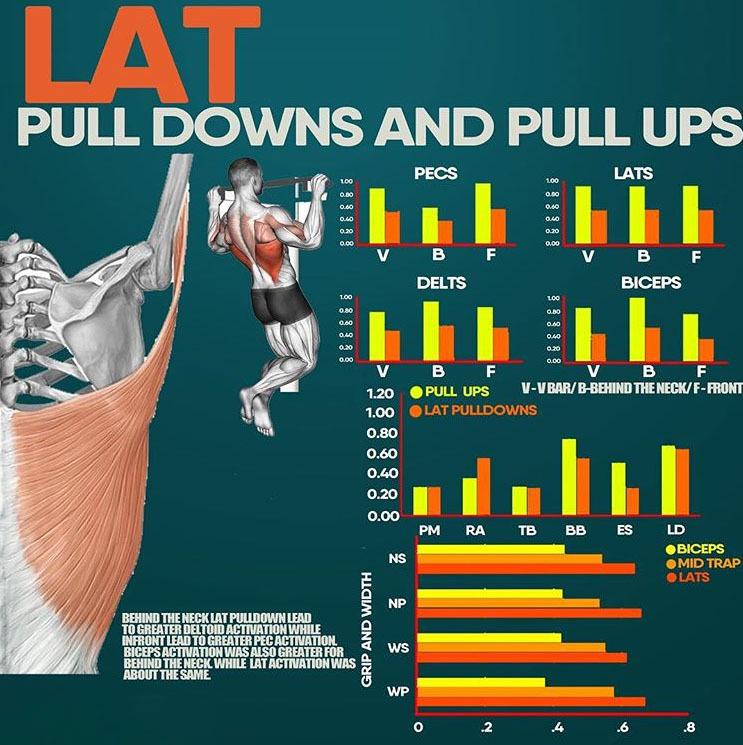 When it comes to comparing lat pull-pulldown’s and pull ups they seem to be both equally as good at activating the lats and biceps. 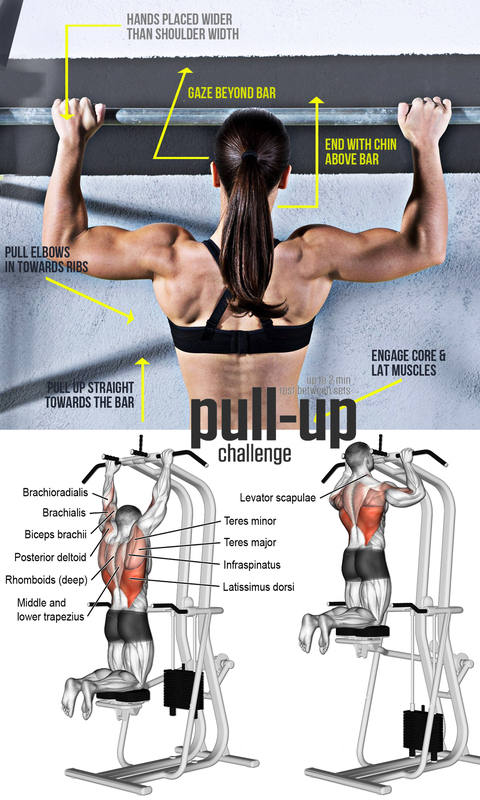 While the pull ups trended towards slightly higher biceps activation. The advantage of doing lat pull-downs is you are able to adjust the weight as you go and can add more volume to your lat workout that way. In contrast with pull-ups you are constrained to one weight (Doma K. et al 2013). When it comes to grip, wider grip with prone grip seems to lead to the greatest lat activation and the leas biceps activation relative to the rest. This may be great for activating the lats better however it does limit the weight you are able to do, so a combination of both during a set of exercises may be beneficial to add both volume and activation.